It started with a bang and a whimper. Well it wasn’t really a bang. It was more like a slap. Well, exactly like a slap. Actually, it wasn’t really a slap either. It was – what’s the sound a fist makes when it connects with a woman’s jaw? Like a woomp, or a thud, or a thwonk. When I was a child, I loved my grandfather. I thought he walked on water. It wasn’t until years later that I found out how horrible he was to my mother and sister. He was mean, surly, and, frankly, abusive, at least emotionally, to everybody but me. For years, I wrestled with the idea of how I could see a man so differently than the rest of the world. After all, to me Pop, as I called him, was the nicest guy ever. He took me to the dump to search for buried treasure. He took me on walks to his favorite diners. He was always doing nice things for me. How could he be so nice to me and so mean to everybody else that I knew and loved? How could they see a completely different man than I did? All of these feelings bubbled over after I finished my second novel, My Father Didn’t Kill Himself. My grandfather was very sick at the time, and my mother was taking the train from Virginia all the way up to New Jersey every couple of months to see him, even though he was miserable to her for years. It was too much to process. I had to write about it, which is where Spaceship Broken, Needs Repairs comes from; that desire to understand my life. My Father Didn’t Kill Himself was about a girl’s complicated relationship with her father, and it only made sense to make my next book about a boy’s complicated relationship with his grandfather. While My Father Didn’t Kill Himself wasn’t autobiographical in any way, a lot of Spaceship Broken, Needs Repairs would tonally represent my relationship with my grandfather, even though it was all still 100% fictional. Because of that, I wanted to add a lot of fantastical elements so it didn’t feel too much like a depressing coming of age story. I infused a homeless alien into the plot and made the crux of the story about helping her rebuild her ship and get off the planet, but in reality what I was trying to explore was the complicated relationship between my Pop and me. I never really understand anything until I finish the book about it, but once this book was done I was finally able to put those nagging thoughts to bed and reconcile my relationship with my Pop. I only wish it happened before he died. 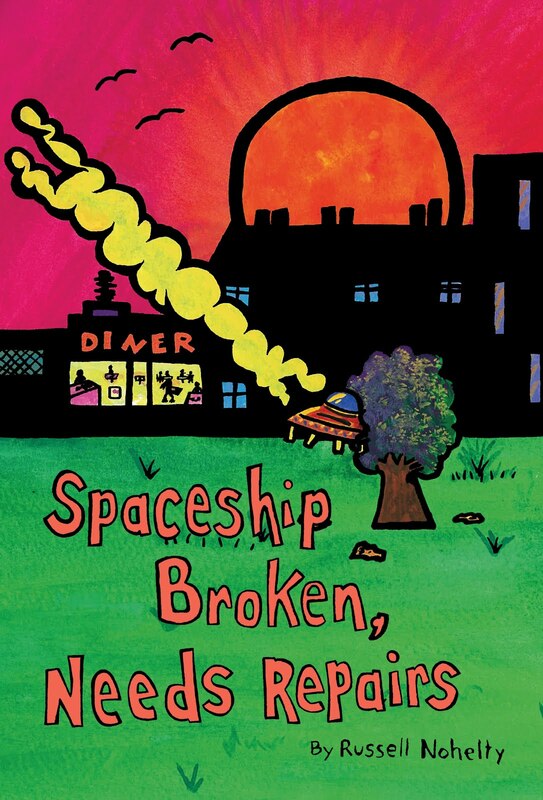 If you want to read more about Spaceship Broken: Needs Repairs at Amazon. 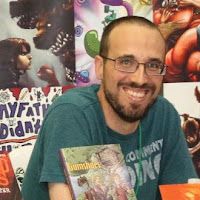 Russell Nohelty is a writer, publisher, and speaker. He runs Wannabe Press, which publishes weird books for weird people, and hosts The Business of Art podcast, which helps creatives build better businesses. Russell is the author of Gumshoes: The Case of Madison’s Father and My Father Didn’t Kill Himself, along with the creator of the Ichabod Jones: Monster Hunter, Gherkin Boy, and Katrina Hates the Dead graphic novels. He makes books that are as entertaining and weird as they are thought provoking. This sounds like an interesting read - unusual though! Hmmm...I'd have to think about that one. Thanks for sharing! Not sure from that intro Donna, but, I might try a bit more.